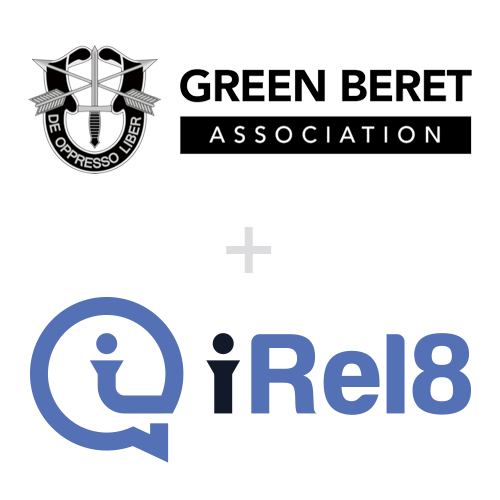 For Immediate Release – Denver, CO—March 20, 2018 — iRel8.org, a provider of a new mental wellness social network delivered via a mobile application, is pleased to announce that it has entered into an exclusive licensing agreement with The Green Beret Association, who provides immediate and ongoing support and assistance to U.S. Special Forces community and their families. As mental wellness challenges continue to impact individuals and communities across the globe, new solutions are needed to provide access to help 24/7/365 in a safe, confidential way to ensure there is no stigma associated with the need for mental help. Suicide, substance abuse, and PTSD are at epidemic levels. According to the VA, in 2016 alone, 887,899 PTSD claims were approved. “Every day Green Berets are tasked with the most challenging missions of the global war. Green Berets are some of the strongest most resilient people in the world, but after 17 years of war even the strongest will start to falter. If we are to be successful in accomplishing what our country needs of us, we must take care of our greatest asset, our people.” said Ignacio Garza, Executive Director of The Green Beret Association. iRel8 is a mental wellness social network, leveraging technology from Microsoft, that gives users an open and anonymous platform to receive mental health assistance, provide relevant help to others, and relate to a larger community of their peers. iRel8 is accessed through a mobile application allowing immediate and convenient access for individuals chat with their peers and obtain real-world, relevant advice and serves as a bridge to professional mental health care providers. For more information visit https://irel8.org.